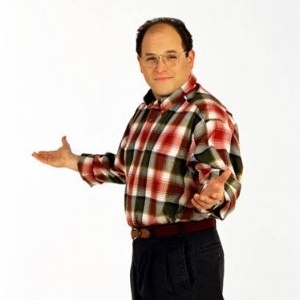 The puffy shirt, yada yada, serenity now, the jerk store, shmoopie... the masterpiece that is the Seinfeld series has contributed to our cultural lexicon and expanded our way of thinking--ask any fan. The anomaly that is Seinfeld, a show about nothing, embraced the little observations and nuances of everyday life and gave us something to laugh about. Part of what makes the show so great is that it's rooted in the shared experiences of regular people. Each character works (kind of), pays rent, waits for their table at restaurants and deals with low talkers, you know typical stuff. 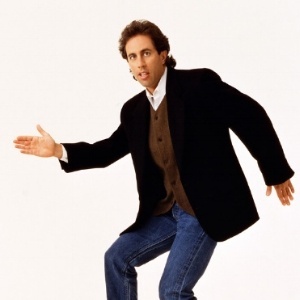 When it comes to their income earning capacities, we as workforce management specialists have to wonder: if the characters of Seinfeld were audited, what would the IRS have to say? Would their classifications hold-up under the law? And how risky would it be to employ this cast of characters? 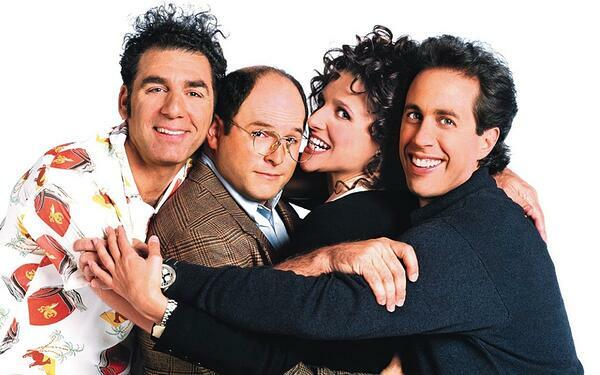 We take a look at Jerry, Elaine, George and Kramer's jobs (both real and imaginary) and explore how their classifications, W2 or 1099, would fair based on their roles and antics. Evidence: When Jerry bombed during his appearance on the The Tonight Show with Jay Leno, because his hotel’s cleaning lady threw out his notes, he was representing himself and his act with no connections to an employer. After his arrest with his three friends in Latham, Massachusetts, for failing to help a man being car-jacked, Jerry and his friends were found guilty and sentenced to a year in jail—for being horrible people. Jerry is now still performing comedy. Currently he’s probably with a comedian in a car getting coffee. Elaine is typically engaged as a full time employee. She reports to a supervisor, has an office, uses company office equipment and supplies, and is compensated with a salary and benefits. During her brief stint as the personal assistant of Mr. Pitt, she was likely engaged and an independent contractor. She did not have an office, and was assigned special projects, such as finding white tube socks with the right amount of elastic, and picking the salt off of pretzel sticks. Evidence: As a full time employee, in addition to earning a salary with benefits, Elaine is involved in the day-to-day office culture. She begrudgingly eats cake celebrating employees' "special days" and participates in office events, such as the annual holiday party. It is here that George first discovers her signature dance move, Little Kicks. Elaine is generally a law abiding, honest worker who is properly engaged by her employers. It is very likely that she would pass an audit by the IRS. But employers should note she has an unpredictable side. For example, tried to smother one of her employers, Mr. Pitt, with a pillow, with an accomplice, her pal Jerry. 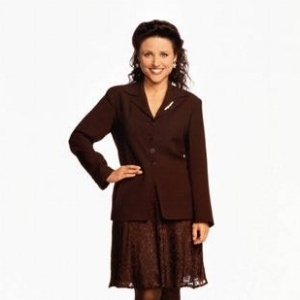 Employers should also note that Elaine is known for some unusual office behavior. 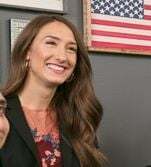 She may eat such large quantities of Jujyfruit at one time that she can’t relay important messages, which can lead to disastrous miscommunications with financial implications (just ask Mr. Lippman). Or if she deems a colleague a “lurker,” she’s liable to attempt to implant a noise-making device on their person, such a Tic Tacs. After failing a drug test by her latest employer, Mr. Peterman, Elaine temporarily resided in a remote cave in the desert of Tunisia (pro tip: don’t eat poppy seed muffins before a drug test). She then spent a year in jail (see: Jerry’s current status). It is likely that she has returned to work for Mr. Peterman in New York City. When she’s not at work, she spends her time running errands (like finding the perfect Nicole Miller LBD), enjoying a Big Salad, and spending time with her friends at Monk’s café spectating on life’s mundanities. While George has a hard time holding a job due to his penchant for lying, deceit and his unyielding commitment to avoid any form of real work, he tends to be engaged by employers as a full time employee, with an office, a salary and benefits. Evidence: George [somehow] manages to be hired as a full time employee. He reports to a supervisor who controls his work, he is in the office each day and uses office equipment. When he worked for the Yankees, he hired a contractor to build a concealed napping station below his desk so that his colleagues couldn't see him sleeping on the job when they passed by his office. While the IRS would likely be satisfied with George's status as a W2, employers should beware. He avoids work like the plague. 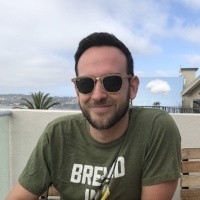 From appearing to work late (while actually reading MAD magazine), to pretending to always seem annoyed by faking the fatigue of hard work, he is committed to any strategy that helps him skirt doing the job he was hired for. George is notorious for breaking rules and laws (including committing murder by stamp poison, RIP Susan Ross) and has a general sociopathic propensity to be a major liability. Employing him in any capacity should be considered the highest of risks. After his year in jail, it is believed that George is at large in New York City. Please note: this is an abbreviated list. 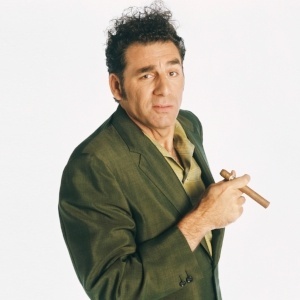 Kramer's body of work is so vast, we are unable to feature all of his ventures in this post. Chief Executive Officer, founded the think tank Kramerica Industries. Movie Actor, had one line in a Woody Allen movie. Clothing Distributor, sold “The Executive,” a beltless trenchcoat invented by Jerry’s father in 1946, to Rudy's Antique Boutique. Author, wrote The Coffee Table Book of Coffee Tables featured on Live With Regis and Kathie Lee. Beauty-Pageant Coach and Chaperone, advised a Miss America contestant on her interview, appearance, and talent. Bottle Exporter, tried to recycle truckloads of bottles in Michigan, where the refund rate per container is twice that of New York’s. Photographer, took pictures for a variety of purposes from Christmas cards to intimate shots. Every possible classification, and then some. 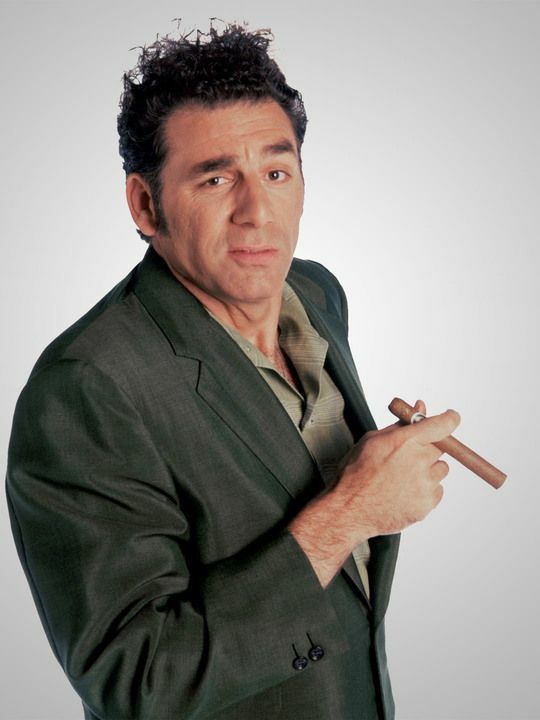 As observed by hobbyist art critics taking in his portrait, Kramer is generally a “man-child crying out for love, an innocent orphan in the postmodern world,” or as observed by another, “a parasite, a sexually depraved miscreant, who seeks only to gratify his bacest and most immediate urges.” And as such, his predictability to properly be engaged by an employer is low. His risk exposure is high.